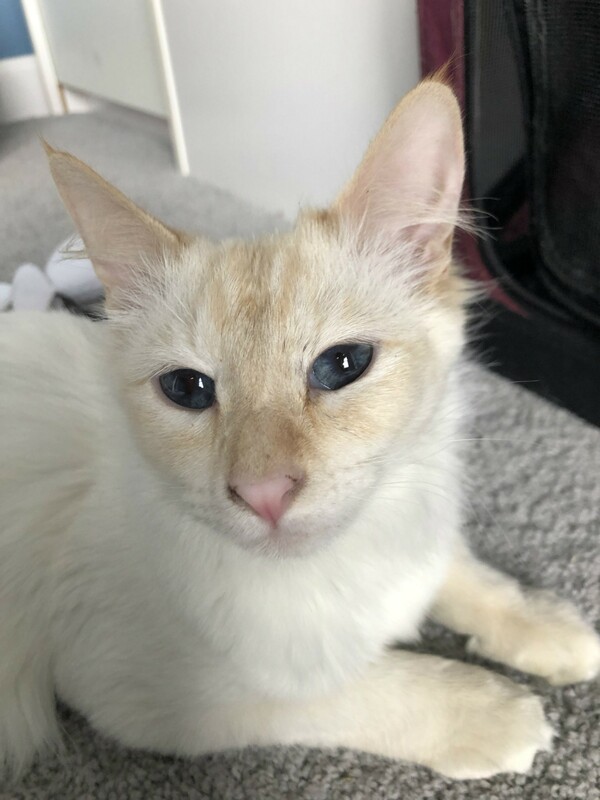 EMBER is a gorgeous 1 year old FLAME POINT BALINESE with bright blue eyes. She is spayed, up to date on vaccines, has her claws, and is microchipped. Ember is a small, lanky cat weighing in at 5 pounds. It is believe that she didn’t have much socialization, I’m afraid, and by the way she acted may even have been treated badly. Ember has made leaps and bounds since arriving at her foster home. 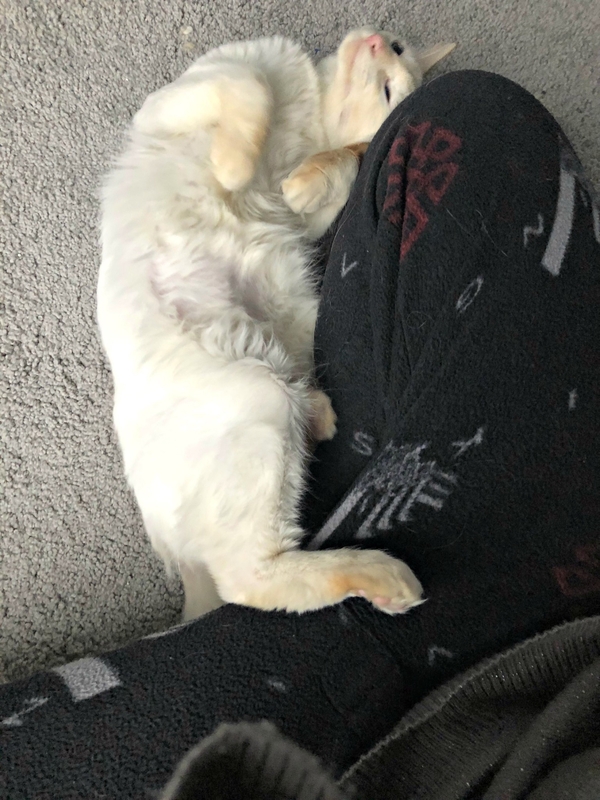 Her foster mom couldn’t believe how quickly she learned to trust and is now a very lovey and affectionate cat. If you are sitting or lying near her she will climb on top of you and demand your full attention! Ember loves a warm lap, leg, back or even shoulder to nap on. She is chatty and loves to have conversations throughout the day. 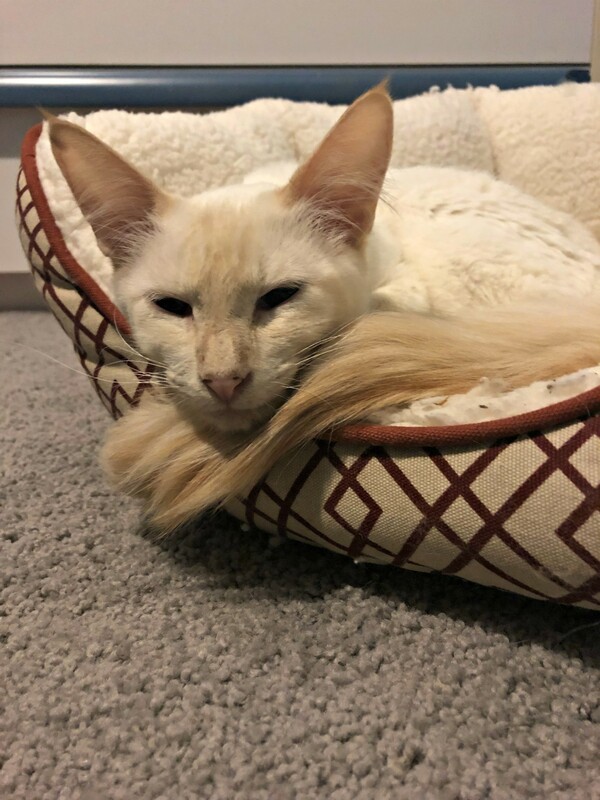 As with most Balinese cats, Ember does have a lot of energy and loves to play with anything she can find. 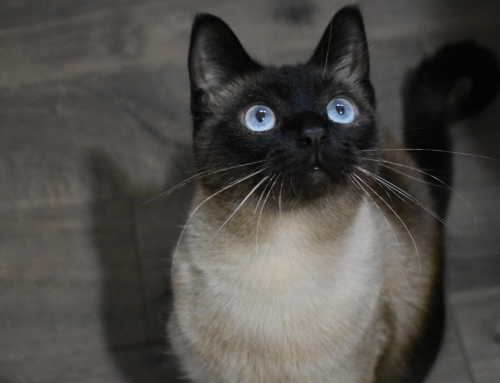 Her favorites are feather toys and laser pointers. She also loves to play with and shred any cardboard she can get her claws on. 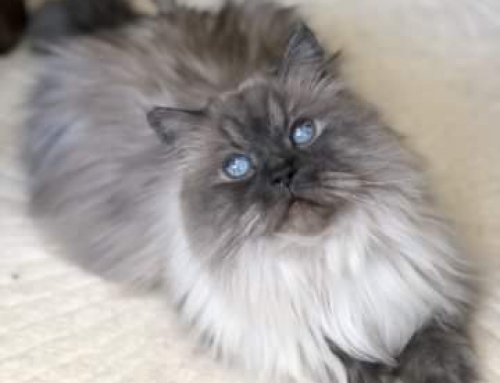 Although Ember is very inquisitive and can be quite demanding when she wants affection, she is still unsure of new situations and new people. Sudden movements and loud startling noises make her find a safe hiding spot, but she usually comes out very quickly. 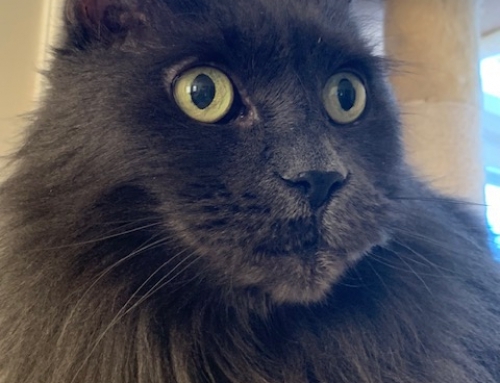 Ember is nervous in new situations and with new people, so she will need to be in a smaller space until she is comfortable with you and the new surroundings.